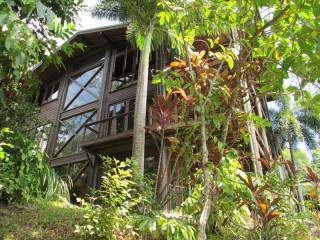 Zamia Daintree Holiday House is located in the World Heritage Daintree Rainforest, nestled high on the coastal hillside overlooking the Coral Sea. It is perfectly placed to allow guests to enjoy the tranquility of the rainforest whilst relaxing with wonderful views of the Coral Sea. 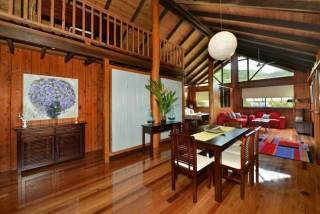 Zamia Daintree offers 4 bedrooms 2 bathrooms and an open plan living area with a great out door deck for those barmy nights and alfresco dinning. The house is family friendly whilst still offering privacy for those romantic weekends away and only minutes to the pristine sands of Cow Bay Beach. With easy access to all that the tropics has to offer Zamia is the perfect place to make a base for your journey into the oldest rain forest in the world. 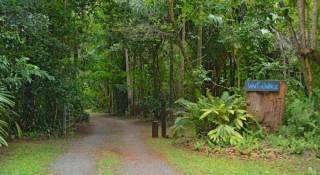 Zamia Daintree is located at Cow Bay in the Daintree Rainforest, it's decorated to suit families, couples or that romantic getaway with a laid back vacation in mind. 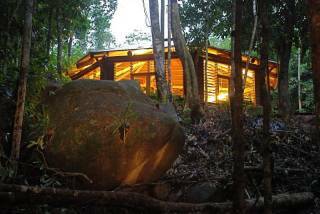 Zamia Retreat offer all the comforts of home showcasing spectacular views of the Great Barrier Reef and only minutes drive to the pristine waters of Cow Bay Beach whilst surrounded by rainforest. 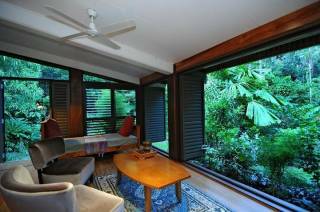 Zamia retreat is fully Solar Powered house. Guests Liable for Damages made.